Hedgehog House - Simply Bird Garden Birds Supplies. 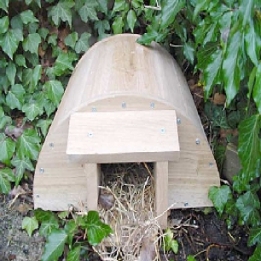 This Hedgehog house is constructed from durable oak with a double layered roof for insulation and waterproofing. The entrance tunnel provides protection from domestic dogs and cats, babgers and foxes.